It seems that every country in Europe is equipped with its own controversial Calatrava masterpiece. 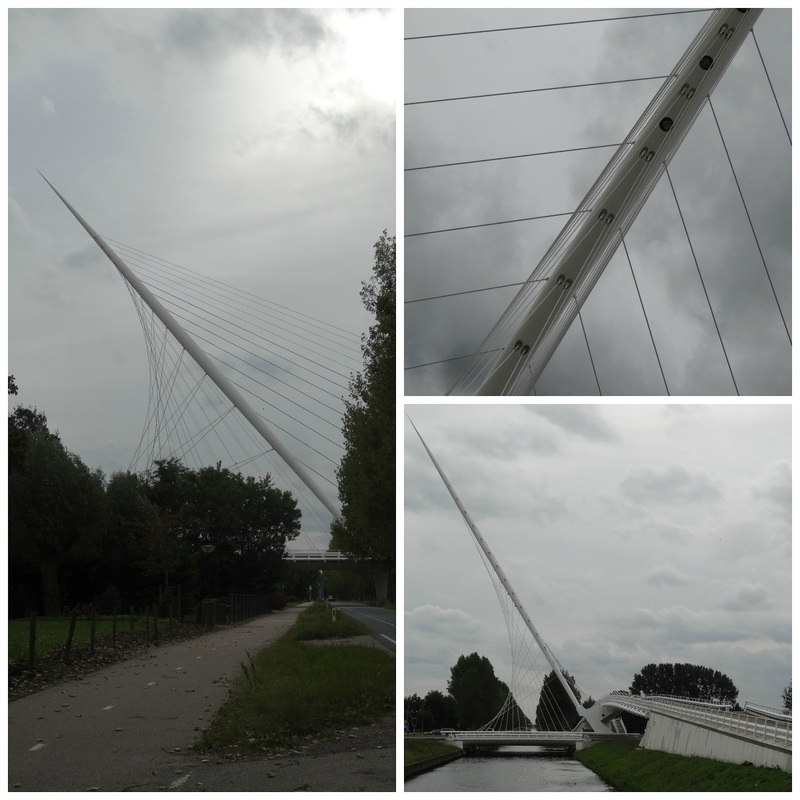 These bridges are located in the Harlemmermeer area, bewteen Hoofdorp and Nieuw Vennep and the costs for their construction and maintenance have been spiralling throughout the years, as often Calatrava's projects tend to do. These (quite striking) three bridges are poetically called Harp, Zither and Lute and they actually blend very well with the surrounding countryside.